A specialist planning and highways law practice, LB & Co is a collaboration between long-standing solicitors Carolyn Lord and Kate Butterfield. Both Carolyn and Kate’s reputations are founded on the ground-breaking, nationally renowned commercial planning law firm Wilbraham & Co, which Carolyn was instrumental in setting up in 1994 and where both were partners. Consistently ranked highly in Chambers, Legal Experts and by Planning magazine, Wilbraham & Co recruited and trained many of today’s leading planning solicitors over its ten year life as a niche practice. Born and brought up in Leeds, Carolyn left the city for only a few years to complete an honours degree in English Literature and History at the University of York. She then worked within local government, where she was involved in implementing new legislation and policy, before studying law and achieving honours in the Law Society’s final examination. From 1989, she trained at Hammond Suddards (now Squire Patton Boggs). While still a trainee, she was appointed secretary to the firm’s multi-disciplinary Building Society Unit and was then seconded to work for a national client in preparation for a six month energy-related public inquiry. This, together with her experience working with Leeds City Council, led her to specialise in planning and other areas of administrative law. 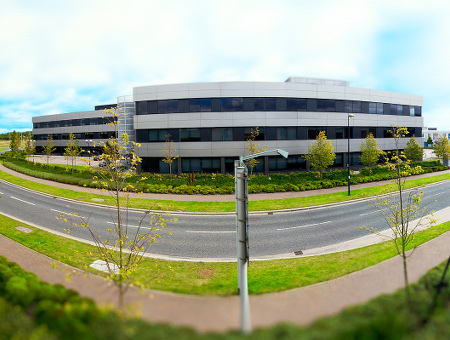 A strong professional team is essential for the success of any large or complex planning project. Carolyn takes pride in her ability to anchor and co-ordinate such teams. She has followed through on her belief in a team ethos, building niche planning law practice Wilbraham & Co, working as a consultant to Walton & Co (2004 to 2008) and as in-house adviser to the GMI group of companies (2008 to 2012). Carolyn's clients benefit from her deep roots in the area, extensive networks and knowledge of local and national government operation. She plays an active role in the community as a governor of Leeds Trinity University and a member of the fund-raising committee for the Leeds Cathedral Choir School in Chapeltown. Since 1999 she has served continuously on several independent advisory panels to make recommendations on local government operation (including the new West Yorkshire Combined Authority). She has been chair of the Standards Committee of West Yorkshire Passenger Transport Authority/Integrated Transport Authority and is now ‘Independent Person’ for the Authority in relation to Standards. Carolyn is involved in the wider Yorkshire business community. She is co-founder of Leeds Fashion Works and Yorkshire Textiles, two initiatives that aim to promote the region's fashion and textiles industries internationally and catalyse innovation and economic growth. Kate studied law in Leeds, where she first met Carolyn. She achieved honours in the Law Society’s final examination and like Carolyn went on to train at Hammond Suddards (now Squire Patton Boggs). Following a period at Pinsent Masons, she joined Carolyn at Wilbraham & Co, where she became a partner. In 2005, when the firm merged with Cobbetts, Kate remained a partner for five years before moving to Gordons LLP. Here she developed and grew the planning practice, became a partner, and worked on a range of significant retail and housing projects. Over the years, Kate has advised on numerous and diverse high profile proposals, both in Yorkshire and nationwide. She is a highly respected specialist planning lawyer in the region and is consistently referred to as “Leader in her Field” in legal publications such as Chambers & Partners . In January 2015, she returned to work with Carolyn at LB & Co in order to take advantage of the undoubted synergy which arises from their long-standing association. Working in a specialist planning law practice means she can offer clients better value for money and a service specifically tailored to their needs. As well as legal expertise, large projects involving significant infrastructure call for strategic decision making and the ability to co-ordinate a complex series of procedural building blocks in order to bring the project to fruition. Both Kate and Carolyn have particular experience in managing or working as part of the teams involved in complex planning projects. Co-ordinating the strategic direction of securing Yorkshire Water Services’ planning permissions for all coastal and estuarine waste water treatment works needed by 1998 for compliance with the first round of the 1991 Urban Waste Water Treatment Directive. Obtaining the suite of some 40 planning, environmental and infrastructure consents required to bring forward the White Rose Centre, Leeds – a major out-of-town mall – involving familiarity with specialist aspects of highways and rights of way law, and formulation of innovative Highways Act agreements. Obtaining planning permission and dealing with the consents required for the first proposed commercially operated biomass power station, including drafting and co-ordinating its Environmental Impact Statement. 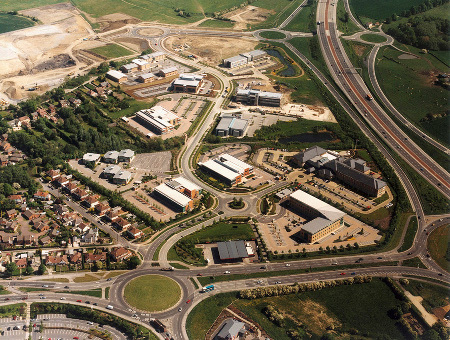 Obtaining planning permission for Thorpe Park Leeds, a 1.8m sq ft business park in the green belt; negotiating (with the Treasury Solicitor) the complex highway agreements required for all associated motorway and trunk road junctions, and co-ordinating the implementation process from 1994 to 2008. 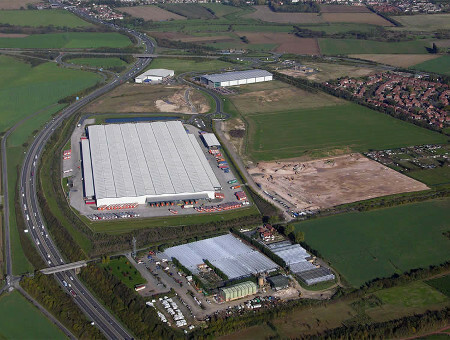 Negotiating planning permission and highway agreements for Redhouse Interchange in Doncaster, a prime 81 hectare employment site on the A1. 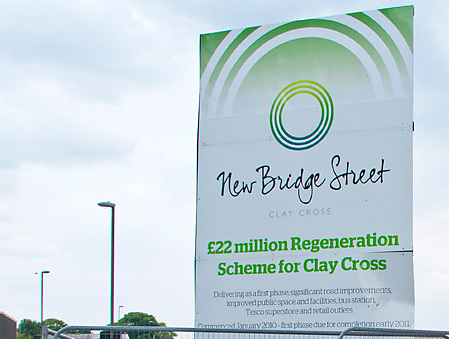 A long-standing involvement (from 1995 and continuing) with the complex land assembly and public/private sector partnership for the Clay Cross town centre regeneration scheme in North East Derbyshire. This CPO scheme is anchored by a major Tesco and includes a medical centre, retail parade, new bus station and innovative public art. It also involves the promotion of contentious food and non-food based retail schemes (with enabling development dimensions), new housing in Conservation Areas and major strategic housing sites. Resisting a claimed Byway Open to All Traffic through Fountains Abbey and Studley Park on behalf of the National Trust. Acting for national house-builders and smaller specialist housing developers on stand-alone residential sites and mixed use development schemes, including the conversion of listed buildings to residential use. Advising on leisure projects, including obtaining planning permission for a motor racing circuit and for cinema development (both on appeal). Advising on planning applications, infrastructure agreements, appeals and judicial reviews for a major retailer. Objecting to Compulsory Purchase Orders and Transport and Works Act Orders on behalf of landowners – and, most recently, successfully negotiating settlement agreements for a number of landowners in relation to the Leeds Trolley Vehicle System Order and advising on the operation of the Crichel Down Rules. Successfully defending judicial reviews of the grant of planning permissions, as well as launching claims for judicial reviews. 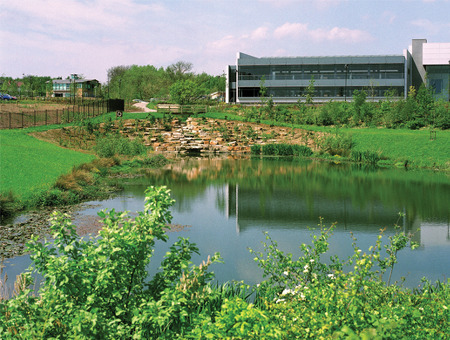 Promotion of extra care apartments and retirement villages, including a continuing community retirement village in the green belt which was the subject of a public inquiry. Advising landowners and local residents on Town and Village Green law and practice. Advising on enforcement of planning control. Smaller projects can also often involve complex questions of planning law. After taking legal advice, clients need to determine whether the cost of continued advice and support will be justified by the smaller project’s returns. Please note that although we will provide initial advice so that clients can assess whether a project is viable, we do not provide any pro bono planning law services. I have known Carolyn for many years and have always found her to be the consummate professional, an expert in her field. Most recently, I engaged Carolyn to represent the Club (Walsall FC) in a particularly demanding and unique case, which involved the achievement of an Advertising Consent for Europe’s largest digital screen situated on the M6 motorway, and I can say with real conviction that she faced the challenge head-on, leaving no stone unturned and ultimately pursued the matter to a successful conclusion. Carolyn has an in-depth working knowledge of Planning Law and coupled with a tenacious and determined approach makes her a leading authority in her discipline. What makes Carolyn stand out from the crowd is her ability to ‘think outside the box’ to achieve a positive outcome. I would have no hesitation in engaging Carolyn to act on my behalf again in future. The fact that Carolyn Lord is still working with us after 20 years of dealing with mainly very long running complex planning appeal/applications is testament to our view of her skills, personality and dogged determination to deliver planning consents. 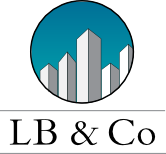 LB and Co is the trading name of L B & Co Limited, a company registered in England and Wales: no 08147533.